Before you download, remember to leave a like /subscribe to my channel. I spent ages making these builds for each of you and in return by doing this little thing, you help me out more than you can imagine! Thank you very much & enjoy !! Feel free to leave a comment, diamond, and favorite! Thanks a lot supporting this project Guys and Girls! Hello adventurer ! Welcome to Jurassic Park. You have to find 10 different secrets. Sometimes you'll need to break some blocks, do not hesitate to explore everywhere, especially in the jungle, under the bush, in the trees... If you are a good, you'll find a lot of chests that can help you to find several secrets. You can play alone, with a friend or organize a competition (team red and blue).. 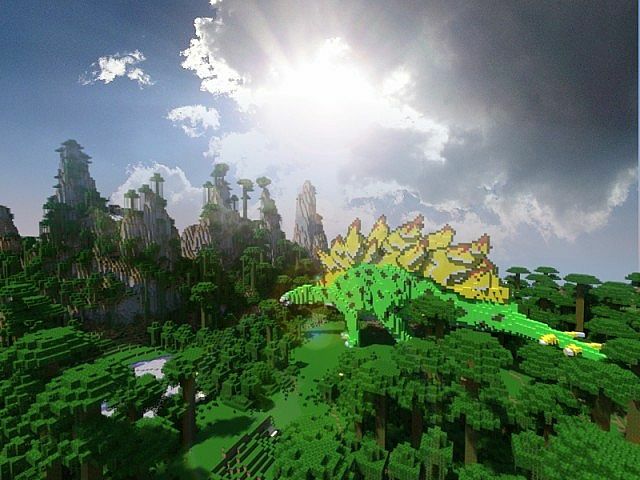 The island is really huge, I made all the terraforming before dinosaurs (thx to Tabernak and Sushen). I'm not an english speaker but i do the best that I can. Sorry for typos, grammar or missing words. The first member who will find the 10 secrets (with screenshots) will receive a dedicace on my next map. Hello everyone ! It's not a complicated map with a lot of redstone but rather a huge map "discovery". 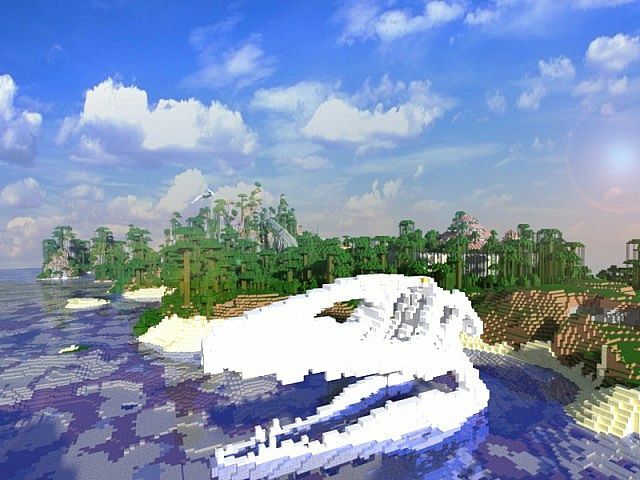 I wanted to release a map for the 150 subscribers... You are now 191, before the end of Jurrassic Park... Thx you very much... I'm really happy to share my build with all of you. Enjoy ! Non-commercial - You may not use this work for commercial purposes. This includes Youtube unless you get my EXPLICIT permission. 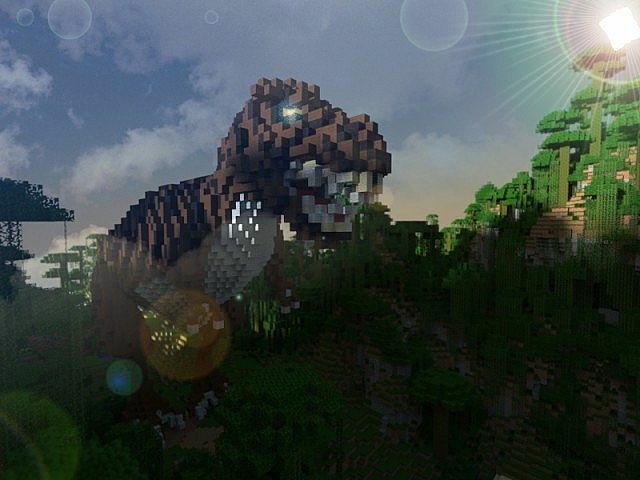 Thx to @Yep356 for Trex, spiders and skull and @Tabernak for his help during terraforming. Thx to Bwaa, Shouka & Sushen as well. Dedicated to Matth_lau. First shape Trex squeleton @thelastghost. Special kiss to ShoukaSeikyo ! First logo @coke_zero199. 400th Diamond! Seriously though, this looks mighty impressive! 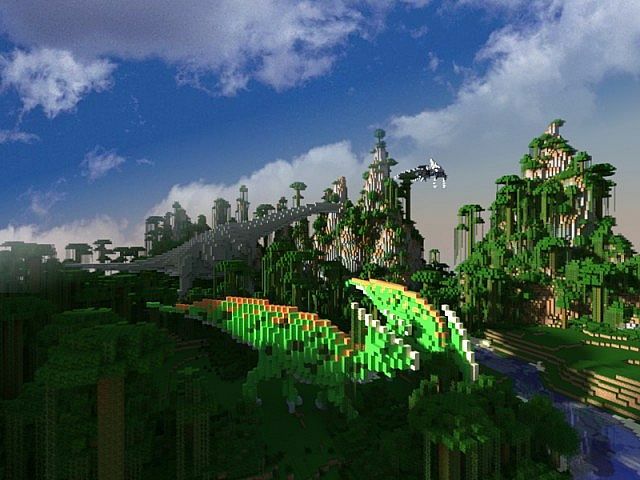 Seems like it would be fun to fly around the world on a dino-spotting trip with friends. ;) You've definitely earned a new subscriber! Wow this is VERY AWESOME! 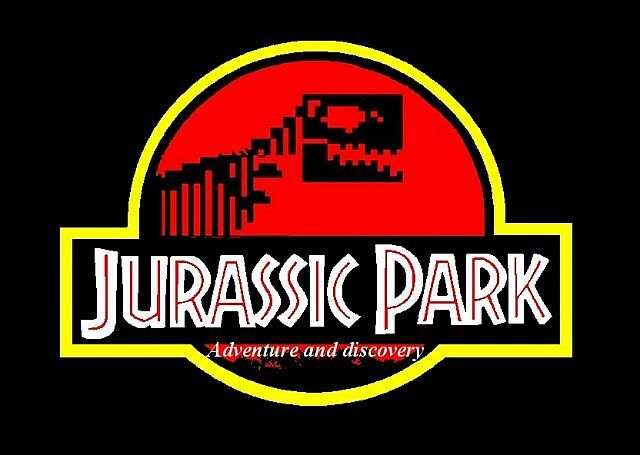 the best i've seen so far, and the only one that has the actual dinos in it! Great job! 383rd diamond. Wow this map is amazing! almost as awesome as jesus riding a dinosoar! 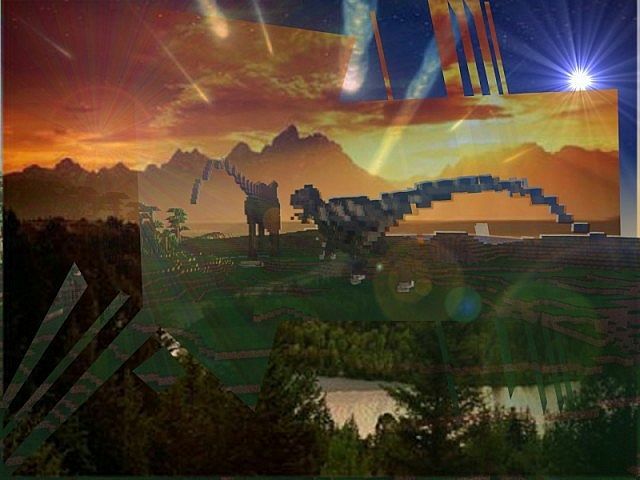 I love it, cthe dinosaurs are great. 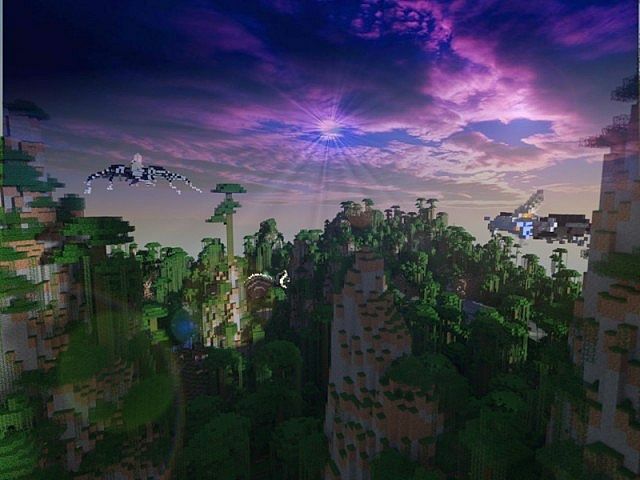 Can i please use some of them for a hungergames map if i give you credit? Me too, was also thinking of a survival games Jurassic park, will give credit. Awesome! 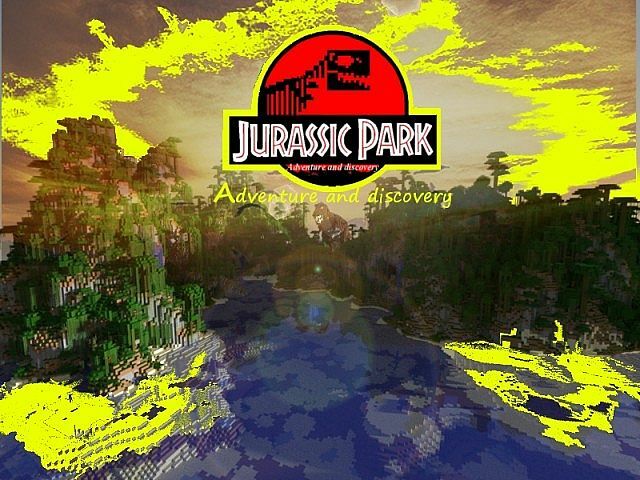 A must for survivors and Explorers! I am new to the world of mods. Could someone please tell me how to install this mod step by step? Any help would be greatly appreciated thanks. Hello Rofler. May I have 10 screens of the 10 secrets? Not the books but the name of the secret on signs when you have finished a secret. I think that you have only find the indications (books) but not the secrets (signs with the name of the secret). Maybe i am wrong? If yes, you'll receive a secret room with your name in the next map (Skyrim and the ice mountains). The level of this map is "hard" but may be you have finished? For the moment, the best player have found 8 secrets. Keep searching ! so do you want me to taje a screenshot of the book while it's open? oh like a picture of each sign above the chest that has the book in it? can i make a youtube video of this? Send me a PM please leoface, if possible. 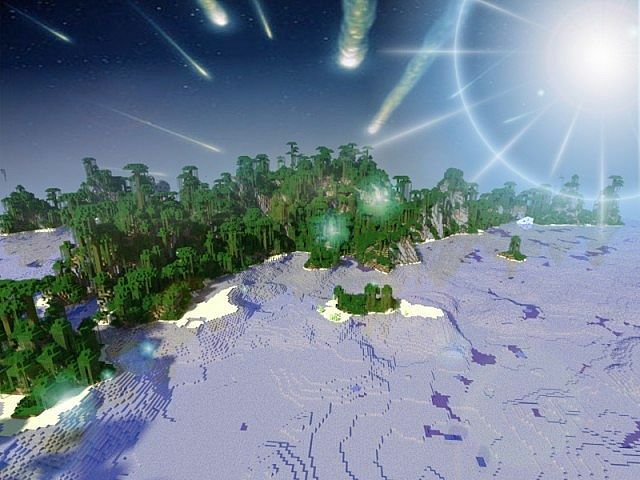 As this Minecraft file is a World Save it is part of programming code, you can not license that under the Creative Commons License. In short anyone can download this file and record the footage in game and there is not a thing you can do about it because the Minecraft terms (see above link) state so. It no where states you are not allowed to have legal protection over Maps. 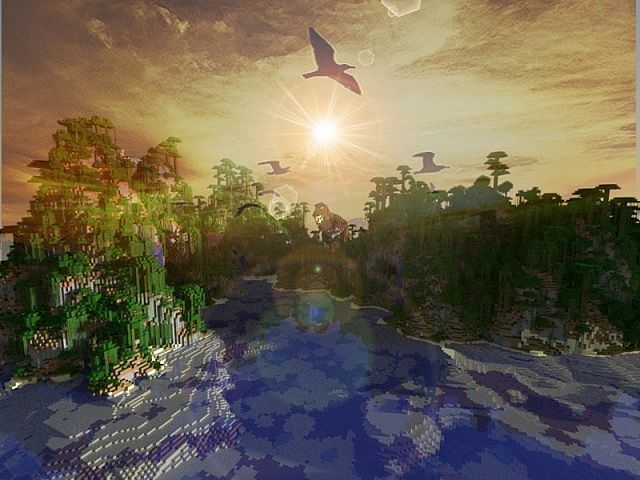 It has been asked before and you are allowed too as Minecraft is now also seen as a tool as well as just a game, just like say, photoshop. Yes you are not allowed to claim rights over photoshop however anything you make using that tool, for example a picture you are allowed to have rights over it. Its exactly the same with maps. 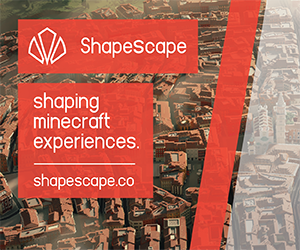 Minecraft is the tool and the maps are the product. You are right in that you are not allowed to distribute any of the software, client side or server side. It also states you are not allowed to sell anything from minecraft however you are allowed to make money of advertising. When it says the thing about the software that does not mean the code produced by the game. The software is the initial program and what makes it work and what makes it what it is. The maps are not software, they are save files, temp files and are not explicitly owned by Mojang as Mojang did not create them, the user did. So bilz is allowed to claim rights over it as Mojang have not got any protection over saved files, screenshots or anything of that area. 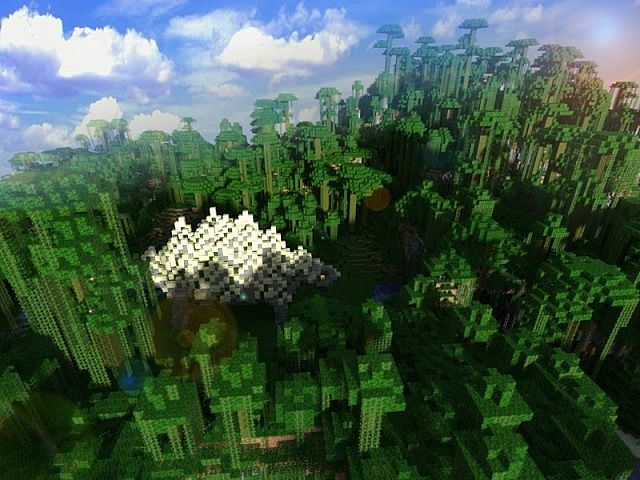 They have protection over the name Minecraft, the software minecraft, the software code of minecraft and the art and music but not anything else that they did not create. Say this to Notux, Block_fortress, Silouette and many others. I read all the description and i'm sorry i don't understand your point? The license protect all creations, music, art, etc. All people used software with the same "terms" and they own their creation on a code they do not create (especially for music). The license do not protect code, nor programs but the creation you made. You can't put your name on this creation and you can at least ask for a commercial purpose (and put the name of the creator) on your film. That's all the license is able to do CommanderNZ, I hope you'll understand. Also you have not included the "GLU.TXT" document in the supplied .zip file which all things that are licensed under this condition contain. I could recorded video of this, put it on YouTube, enable adds and generate revenue from it. I am not talking about claiming this as my own but the fact that you can record video from this and put it on YouTube with adds. Yes, i agree with you i should add a txt, i'll do next time. 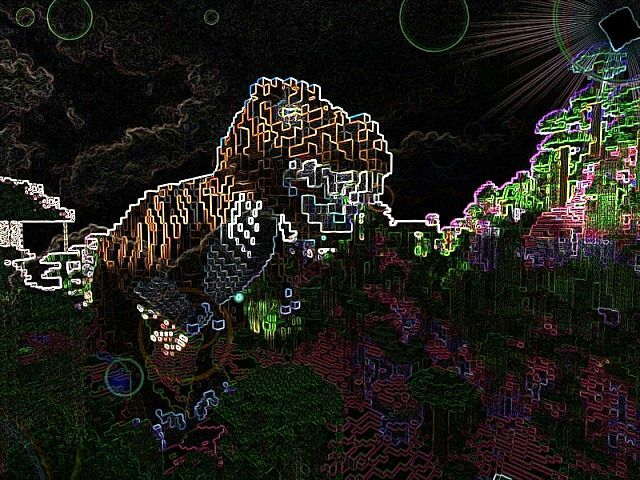 I'am actually finishing my PhD and i made this map during my freetime for all PMC users during hundred hours. I will seek advice from a lawyer and I will keep you informed. I have no problem if you want to earn money, just mention the creator and the download link. Yes, I am not trying to be a troll or anything but it really annoys me when I see people throwing around the whole "this is copyrighted" thing when they have no idea exactly what it means. 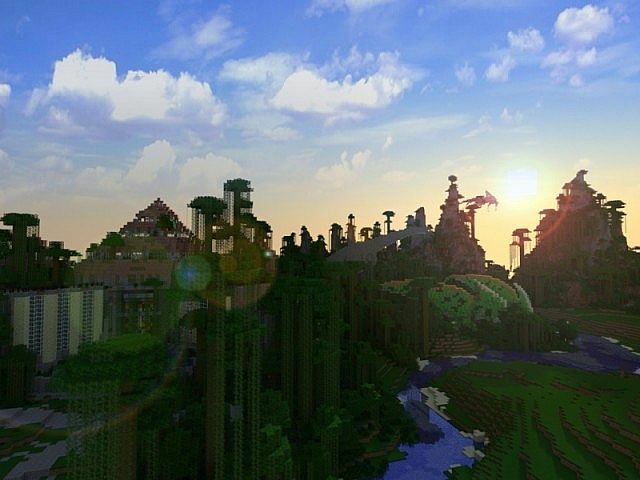 Dude you HAVE to turn this into a Survival Games map and put it on MCSG, it would be AWESOME! I'll do in the future, thank you Murtle. One of the best movie i'have ever seen. Thank you Black, glad you like it. No problem Thank you! im just having a little trouble finding the spider when i was looking for it i found secret #4 But its soo good!!! Thank you Sillouete, i like you as well. Thank you have fun gmixer. 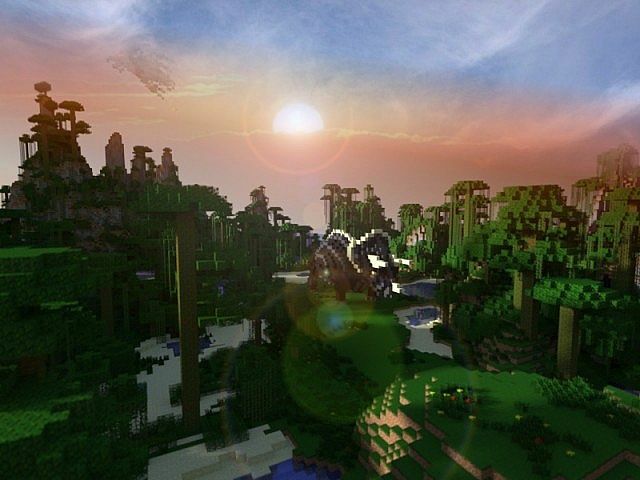 It's rather an explore map ^^ Have fun. Me too, and if you have time, listen www.youtube.com/watch?v=D8zlUUrFK-M, it's wonderful. What are the coordinates of the museum? Someone please answer I've been looking for it for so long! The museum is an another map Alex. Dude, this is amazing. I really appreciate and enjoy the effort you've put into this. Very nice comment, thank you.